Episode 153 is Todd DeVoe. Todd started his career in the public safety profession as an EMT in Upstate New York in 1988. Todd joined the United States Navy in 1991 and served as a Fleet Marine Force (FMF) Corpsman from 1992-1997. After his time in the Navy, he used his GI Bill and completed his B.S. In Public Administration and then his Masters of Public Administration. Todd's primary role in the field of Public Administration has been in Emergency Management. More recently Todd has been ... See More working for the Saddleback College Police Department as the Emergency and Business Continuity Manager and a small Lutheran College in the Campus Safety Department as their emergency manager. Todd is also the host of the EM Weekly Podcast which focuses on bringing news, interviews discussing trends and issues that impact Emergency Management. Our discussion includes Todd's introduction to emergency services and why helping people was and still is important. 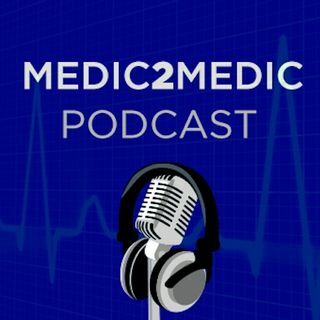 We talk about his military service, his first EM incident that he was part of, his podcast and that EM is more than managing and being part of major disasters.